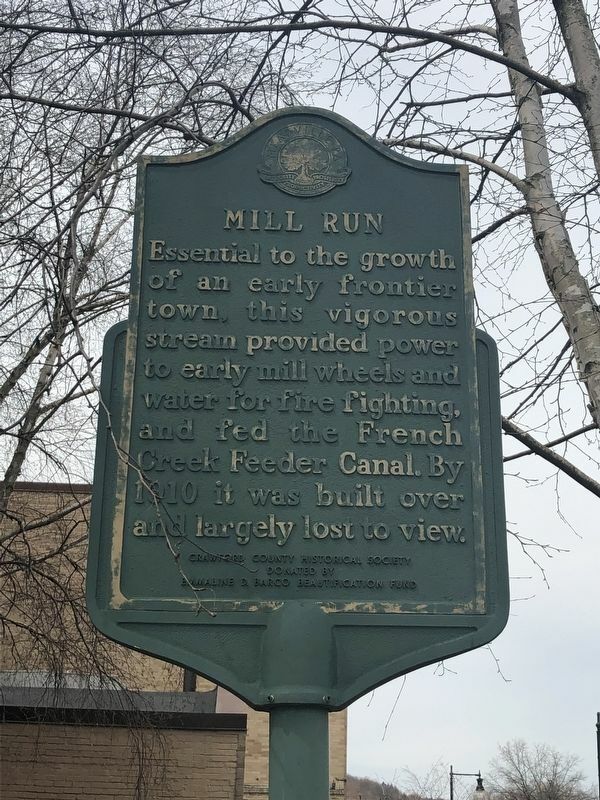 Essential to the growth of an early frontier town, this vigorous stream provided power to early mill wheels and water for fire fighting, and fed the French Creek Feeder Canal. By 1910 it was built over and largely lost to view. Erected by Crawford County Historical Society. Location. 41° 38.264′ N, 80° 9.226′ W. Marker is in Meadville, Pennsylvania, in Crawford County. Marker is on Market Street north of Clinton Court, on the right when traveling north. Touch for map. Marker is at or near this postal address: 949 Market Street, Meadville PA 16335, United States of America. Touch for directions. Other nearby markers. At least 8 other markers are within walking distance of this marker. 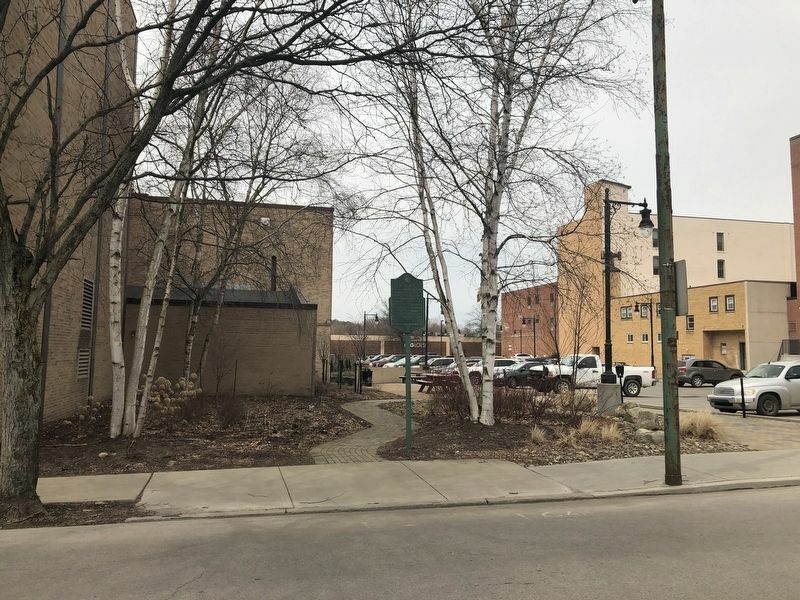 Meridian Building (within shouting distance of this marker); Chestnut St. Bridge (within shouting distance of this marker); The Shryock Store (about 300 feet away, measured in a direct line); The Snodgrass Building (about 300 feet away); Historic District (about 300 feet away); Meadville Woolen Mills (about 400 feet away); Meadville Market House (about 400 feet away); The Market House Plaza (about 400 feet away). Touch for a list and map of all markers in Meadville. More. Search the internet for Mill Run. Credits. This page was last revised on April 14, 2019. This page originally submitted on April 14, 2019, by Devry Becker Jones of Washington, District of Columbia. This page has been viewed 31 times since then. Photos: 1, 2. submitted on April 14, 2019, by Devry Becker Jones of Washington, District of Columbia.